This Date in Milwaukee Brewers History – Don’t Whack Our Wiener! July 9, 2003, was a dark day in Milwaukee’s racing sausage history. First baseman Randall Simon of the Pittsburgh Pirates reached out over the dugout railing and knocked the Italian sausage with a bat near the top of the head. The racing sausages had been a part of Milwaukee Brewers games since starting off as animation on the County Stadium scoreboard in the early 1990’s. They made a live debut on June 27, 1993. As the animated racers closed in on County Stadium, the new live racers emerged onto the warning track in left field and took off. Live races were only held after that first appearance at games with high attendance until Robin Yount’s number was retired on May 29, 1994. The race became a daily feature at every Brewers home game in the middle of the sixth inning from then on. 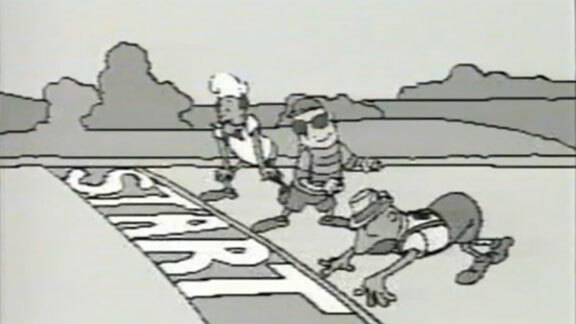 Early races featured Bratwurst, Polish, and Italian, with the Hot Dog added in the late 1990’s and Chorizo in 2007. Usually there is no problem finding someone to wear the costumes – even players and celebrities have taken part in the race. The Sunday edition of the race has been expanded to include a relay where the sausages hand off to children known as “little weenies”. Fans are now even able to vote for the daily sausage race winner on the MLB App and potentially win prizes. Racing sausage fans can thank Michael Dillon of McGill Design for the idea of a live race. He approached Gabe Paul (Vice President of Operations) with the concept, and then designed the costumes. Dillon and the Brewers kept everything a surprise until the live race debuted – which Dillon himself won wearing the Bratwurst costume. His idea has been duplicated time and time again. Today roughly half the teams in MLB have some sort of live race during their home games. Mandy Block was inside the costume that Simon hit and she took a hard tumble on the warning track. On her way to the ground, she collided with Veronica Piech inside the hot dog costume. Both women were treated for scraped knees. The bratwurst played by 16-year-old Ryan Borghoff won the race. 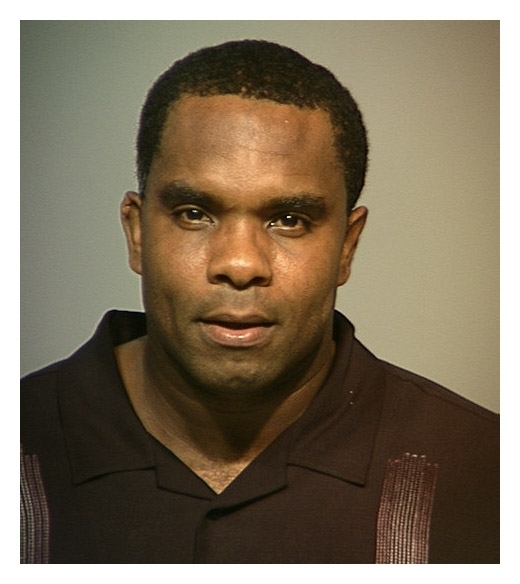 The Milwaukee County Sherriff’s Department didn’t call the incident strange – they called it misdemeanor battery and booked Simon. They interviewed Simon and the two women in the costumes at Miller Park. A spokeswoman for the Sherriff’s Department said that Simon would meet with the district attorney’s office the following day to see if prosecutors would file formal charges. Simon apologized to Block and Piech for the incident and gave them two autographed bats as a peace offering. The incident immediately received national attention and Block was interviewed for the Today show and Good Morning America. One question that came up from the media is if Block would press the matter further and sue Simon, the Pirates, and even MLB. Block dismissed the idea. The Brewers decided they wanted to move forward and put the focus back on their games, so they put Block in a behind the scenes role mainly folding T-shirts for the next month. The $7 an hour position normally involved being visible in Miller Park – running in the sausage race, helping with the T-shirt toss, and being a ball girl. 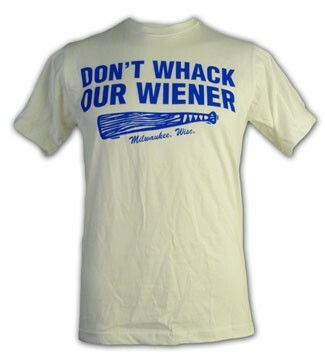 Fans got some mileage out of the Simon incident as “Don’t whack our wiener” tee shirts became a summer ballpark fashion statement. A local company printed the shirts and initially promised Block would autograph them for fans, but the Brewers quickly put a halt to her participation. Pirates manager Lloyd McClendon also wasn’t amused – but his disgust stemmed from Simon’s suspension and not his first baseman’s actions. Simon chose not to appeal his fine or suspension. He did not play in the final game against the Brewers, so that counted toward the suspension. The Pirates then faced the first place Houston Astros. As for the game, the Brewers won 2-1 in 12 innings. Simon appeared as a pinch hitter in the top of the seventh inning and was showered with boos. He tapped the ball back to pitcher Leo Estrella who tossed to Richie Sexson at first for the out. The Brewers won when Wes Helms beat out an infield grounder to drive in the winning run with two outs. He hit a chopper down the third base line that future Brewers third baseman Aramis Ramirez failed to get a handle on. Brooks Kieschnick (1-1) won for the first time since coming back to baseball as a reliever. He singled as a pinch-hitter in the 11th, then stuck around and pitched a 1-2-3 12th for the win. 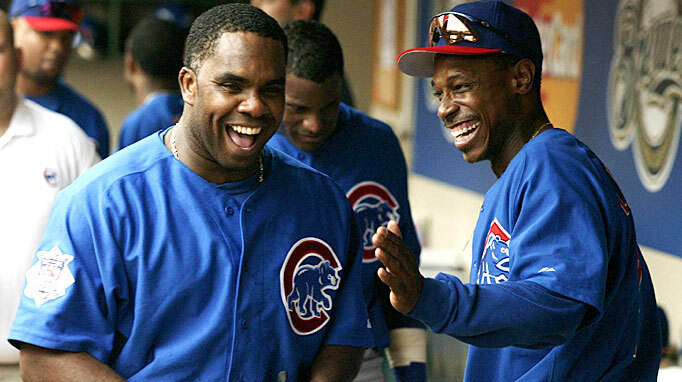 Simon would not return to Milwaukee until early September as a member of the Chicago Cubs. In the meantime Block decided to hand up her racing shoes and officially announced her retirement in early August. She was heading off to Madison to take psychology classes at the University of Wisconsin. Simon paid his fine upon returning to Milwaukee and the court considered the case closed. He didn’t play in the series-opener and was met with boos during his first plate appearance the next night. More boos followed when he smacked a homer in his next at bat in the third inning. In the middle of the sixth boos turned to cheers when the scoreboard announced that all fans in section 112 would receive an Italian sausage courtesy of Simon. He also tried to go after the sausages in good fun, but his teammates held him back during the race while manager Dusty Baker playfully guarded the bat rack. He said later that he didn’t want his sausage gift gesture to be taken the wrong way.